I came to write inspirational fiction in a very roundabout fashion. By day I work on a college campus, and in order to win tenure I wrote a number of dry, dusty academic books I doubt more than a few dozen people read. After earning tenure, I had a craving to tackle a bigger challenge. I tried to remember why I became a rabid reader as an adolescent, and realized it was because I drew inspiration from fiction. Writing a novel was an entirely different form of writing, but one I was eager to explore. Now stop a moment….it makes no sense to be inspired by fictional characters, does it? And yet when I read The Lord of the Rings or The Chronicles of Narnia, I was inspired by those people. Which sounds completely insane. 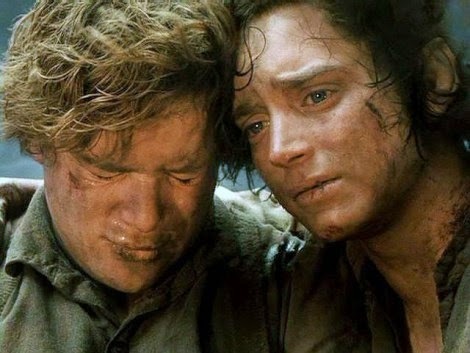 Frodo and Sam never existed, so how on earth can they inspire me to keep trudging forward even when my body, soul, and mind are running on empty? One of the things I aim for when I write a novel is to create inspiring characters who tough it out through the worst of circumstances. Most of the events told in the Bible deal with people undertaking huge challenges, too. Sometimes they make moral choices and other times they don’t, but those stories have been inspiring people for thousands of years. Click Here to buy or see "Into the Whirlwind"
I believe that tackling the hard things in life is what makes us great, and I use this as a theme in every novel I write. My novel Into the Whirlwind was about the Great Fire of Chicago in 1871. As in any crisis, the fire brought out the best and worst in people. Mollie thinks of the months following the fire as a “wonderful, terrible time.” And isn’t that true? Having lived through my share of devastating hurricanes, I can attest that you will see the best and worst of humanity during a terrible crisis. Leaning on my faith during these times has always served me well. 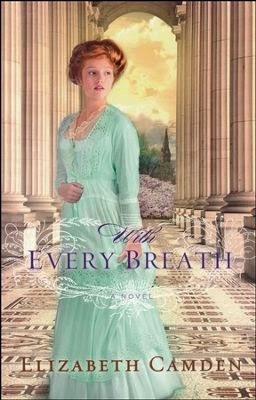 Click Here to buy or see "With Every Breath"
My novel With Every Breath is about the heroic doctors and nurses who risk their lives to battle tuberculosis, a contagious disease that is sadly reminiscent of the Ebola crisis. My current release, Beyond All Dreams, deals with a librarian who stumbles across the baffling mystery of a ship that disappeared at sea. When she turns to a congressman for help unraveling the mystery she risks her career, her home, and her security to uncover a deep wrong. Again, these characters are confronted by major ethical dilemmas, and I wanted them to overcome their obstacles in an honorable fashion. As I personally draw inspiration from such novels, I hope my novels can do the same for others. As a somewhat tongue-tied and introverted person in real life, I have found that writing suits my style for sharing my optimistic view of the world. I hope my novels can provide inspiration for readers who are seeking spiritual courage, inspiration, or perhaps just a rollicking good love story. 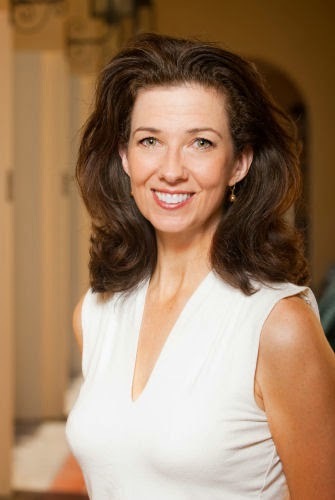 Elizabeth Camden is the author of six books, and is a RITA and Christy Award winner. With a master's in history and a master's in library science, she is a research librarian by day and scribbles away on her next novel by night. Elizabeth lives with her husband in Florida. Luke Callahan is one of the most powerful men in congress until his career begins collapsing amidst scandal. When he joins forces with Anna to solve the mystery of the lost ship, he is stunned to find himself falling in love with the down-to-earth librarian. From the gilded halls of the Capitol to the scholarly archives of the nation’s finest library, Anna and Luke will unravel a mystery larger and more dangerous than ever imagined. Click Here to buy or see "Beyond All Dreams"
International Readers Welcome to Enter for eBook! The three winners will be announced on my facebook page. Thank you, Elizabeth, for Joining us This Weekend! I find myself being inspired by characters. It's perfectly normal. Thank you, Mary and Elizabeth, for this feature. I, too, find inspiration from fictional characters! What an interesting post with Elizabeth. I love learning more about my favorite authors. I love Elizabeth's books and can't wait to get my hands on her newest. Hello Mary! Thank you for hosting Elizabeth. Elizabeth is a new-to-me author. Her stories sound wonderful. All three of these novels sound awesome and are on my Wish List. I cannot wait to read and review them so I can them with other readers. As a book lover, I always thought the dream job would be to work in a library! Thanks for the chance to win one of Elizabeth's books. Thanks for the chance to win in this lovely giveaway! 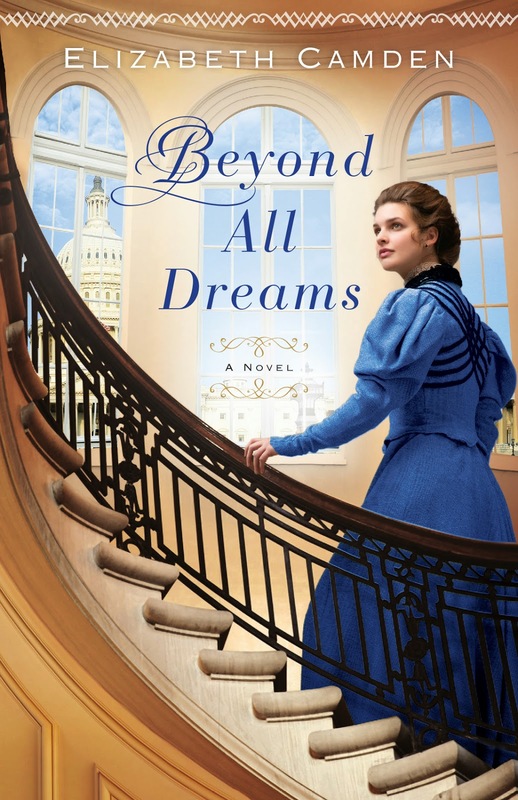 "Beyond All Dreams" sounds like a terrific book! I would love to dream bigger myself, so the topic is speaking to me. All the best in 2015 and lots of blessings! I am a recently retired librarian and I also think that it is a dream job. Elizabeth, all of your books sound wonderful and I hope to read them soon. Happy New Year and blessings to both you and Mary! Thank you for introducing Elizabeth to me Mary. I was like Elizabeth and loved reading at a young age. Working in a library is truly a dream job! I would love to read these books. I do too, Mary. I like to see how they choose to handle the bazar situation they are in, I also tend to cheer for them. Many have been very memorable for me. How about you? Hope you had an awesome Christmas and New Year. I was hoping to see you this weekend. Besides inspiration, which I am very thankful for, I like to get other ideas from characters, even simple things like how they decorate a room or their favorite recipe. What awesome inspiration or other idea have you taken from a character? Oh, yes, an Elizabeth fan. I am especially glad you stopped by. Which one of her books was your favorite so far? I agree. Her stories do sound wonderful. And don't you just love the titles and book covers!! You are a gem. Each review means so very much to authors and the opportunities they have to get more books out there. Thank you!! I hadn't considered that until after my kids grew older. Now it takes a degree and there aren't many jobs. BUT there are many volunteer jobs in a library. Even that would be interesting to me. Happy New Year to you. I'm so happy to hear from you. So--what big dream would you go after if you could? We are so honored to have you here. Thanks for joining our conversation. Seriously, you were a librarian. Wow. I can't begin to fathom how exciting each day would have been for you. Let us know after you finish reading any of Elizabeth's books. Reviews online are especially helpful. And yet another blessed librarian. Wow. This has been a great day. I've been able to meet all of you, or discover those who had librarian jobs. I'm so glad to see you again, Maryann!! Hope you had a wonderful Merry Christmas and a great New Year. It is good to become acquainted with a new-to-me author. Characters often inspire me, also. Thank you for offering a copy of one of your books, Elizabeth. Mary, I follow you in my reader, but just signed up to follow by email, also. (Different address than I'm listing here). I've read several of Elizabeth's books, including Into the Whirlwind. I absolutely love her books! I learn so much by reading good fiction. I follow your blog, Mary, by e-mail. I would love to win Beyond All Dreams or With Every Breath. Thanks for the chance. Mary I am one of your followers and a subscriber. Thanks for the introduction of Elizabeth and her books. IO would love to win "Into the Whirlwind" Thanks for a chance to win this Elizabeth. Hi Pam.... thanks for your compliment about Into the Whirlwind. As a writer, I find one of the most interesting things for me is delving into the research..... the Chicago Fire was an amazing, grueling, but very inspiring topic for me to learn about. Nice to meet you, too Kay! I'm so glad you joined us today. Happy New Year! I'm glad you were able to meet Elizabeth this weekend. Her books look to be really wonderful, and you have chosen a good title to want to read. I hope the random program chooses you, too:) Hope you are already having a wonderful New Year. What a great interview! I also can draw inspiration and motivation by reading about characters fictional and nonfictional. I liked reading about the topics of Elizabeth's three books. These are themes I haven't read about and would love to. I'm so glad you had a chance to read several of Elizabeth's books. I must agree, so much can be learned from good fiction. I'm so glad you stopped by this weekend. I was looking for you! Happy New Year. I hope you had a Merry Christmas, and a wonderful New Year! 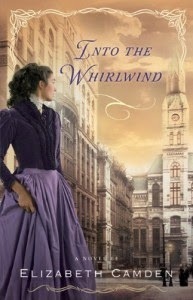 I own into the Whirl Wind but haven't had a chance to read it! I really want to :) I have a TON of books on my TBR pile! I think we all have this wonderful problem. Isn't the fresh scent of books on the nights stand lovely?